Aspen, Colorado has long been considered a world class ski resort that attracts wealthy and famous visitors who seek the Rocky Mountain high life. Yet, the Aspen lifestyle, as described by locals, evokes a deeper, richer story, a story centered on a very strong sense of community that began in the late 1800’s when it was known as the most productive silver-mining district in the United States. Today Aspen has evolved into a “learning community” and a cultural mecca. It is a place to fill the senses, to commune with nature, to exercise your body and to give your brain cells a workout as well. 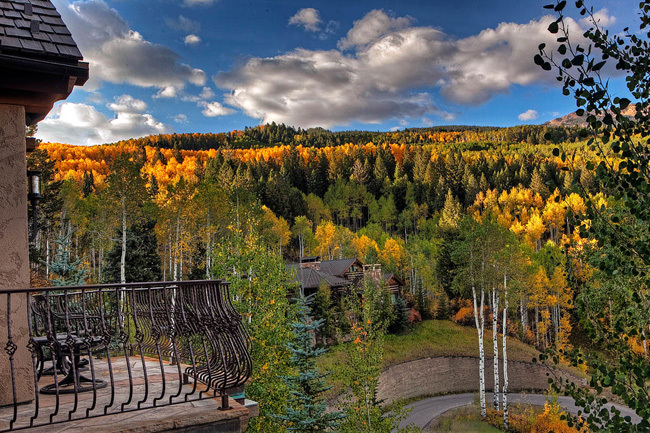 According to Brian Hazen, “Aspen is a community that has the amenities of a world class resort. It is not a resort that is seeking to be a community”. Steve Shane says, “Although the town explodes in population during the winter holidays, it is home to some 6,000 locals who enjoy Aspen for more than one season. With four seasons of entertainment, we live in a ‘cultural epicenter’ which makes it a great place to raise your family. The Aspen schools are exceptional and so are the organized after-school activities. There are always extraordinary events happening here to delight adults and kids alike, from classical music, ballet and theatre to the Winter X Games that take place on Buttermilk Mountain and are broadcast around the world. According to Doug Leibinger, “The Aspen Music Festival and School attract the best conductors and musicians from around the world to study, teach and perform. The atmosphere is at once sophisticated and casual. One of my best summertime memories was picnicking on the grass with my family, enjoying wine and cheese, while listening to a Yo Yo Ma concert. Aspen is a place where you can experience the tranquility of observing an isolated elk in its natural habitat within a short walk from the center of town”. In Aspen, Doug is known as the “5 minute fisherman”. Every-ready with his rod and reel, he will often take a quick break from his busy schedule to enjoy one of his favorite mountain lifestyle sports, fly fishing. One would be hard-pressed to get bored in Aspen because of the amazing variety of available activities. Wendy Cora Lucas points out that “The quality of entertainment here is unparalleled. You can go to a Sting concert or a Seal concert in a large city with thousands of other fans. But, when these artists are in Aspen the venues are much smaller. The entire audience may be just a couple hundred people”. Craig Morris explains, “Athletically, culturally, socially, intellectually, Aspen has it all, even great shopping. Intellectually, the event of the year is the Ideas Festival, produced by the Aspen Institute in the summertime, where hundreds of great thought leaders in business, science and politics gather together to exchange ideas. The best part of this event actually takes place the week before and after the event itself. That is when there are many invitation-only cocktail parties where you can mingle with the participants”. Bob Slarodoj says, “Aspen is a small intellectual town. Everything I want is right here. On the same day, I can go hiking in the morning, watch a concert rehearsal during the day and go fishing in the evening—all within 15 minutes from the center of town. According to equestrian property specialist, Carol Dopkin, “The small town atmosphere embraces you and makes you feel like you belong. It is not overwhelming”. “Aspen has endless possibilities to create your own lifestyle and care for your mind, body and spirit, especially if you like outdoor activities like snowshoeing, cycling or mountain climbing”, says Carrie Wells. She adds, “The County also contributes to maintaining the quality of life in Aspen by holding to strict land use guidelines”.